What do you get when you throw in four designers, one communication specialist, and a three-day trip to Columbia, South Carolina? One awesome conference, of course! Last week, the creative team and I switched cities for a few days to attend the annual web design and technology conference, Converge SE. After 7 hours of driving (and one questionable Cracker Barrel pit-stop), we made it to Columbia in time for Thursday’s and Friday’s lineup of design and technology talks. Converge SE is a really fantastic meeting of all types of people from different design backgrounds, trades, and experiences. While we saw a lot of great talks, here are some of our top favorites. If a talk is titled “How Monsters and Fart Jokes Made Me a Better Designer,” it’s got to be good. In his talk, Paul, a co-founder of the app ChoreMonster, explained how necessary user testing and designing with a user-oriented mindset is. His main point was if you brush off and ignore user feedback, you will only harm your product or website. 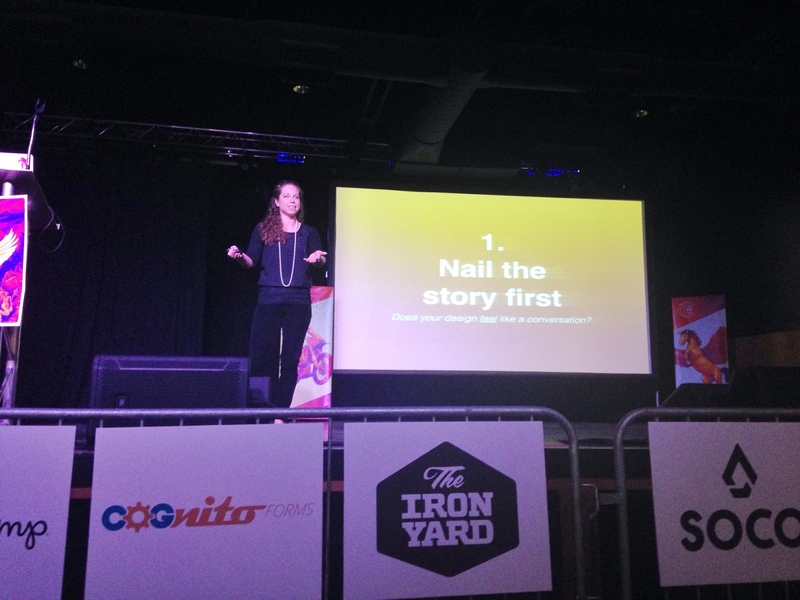 As the Director of Content Strategy at Capital One, Stephanie’s keynote focused on prioritizing content over design structure. Her argument was the methods most designers adopt isn’t actually conducive to content-first experience—that is, design first and content later. By doing a creative switch-up and designing experiences around words, designers can better build solidified concepts and improve user engagement. For those who don’t think design is important, I’d seriously ask you to rethink. 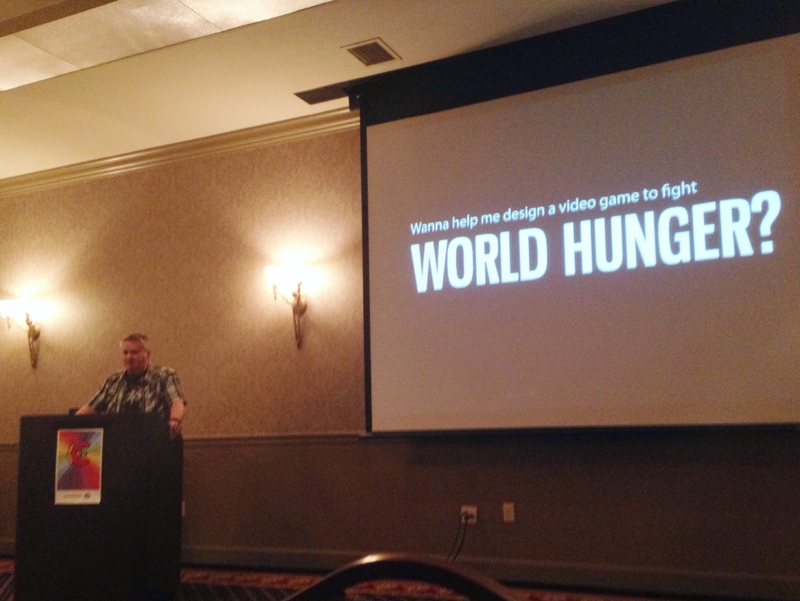 Bryan, the Director of Design and Branding at a non-profit called Rice Bowls, gave an incredibly insightful talk about how game design can be utilized to support worthy causes like crunching world hunger. Technically, it was supposed to be about designing games, but I thought his message about using design for good was inspiring. Heard of the movie, Sharknado? 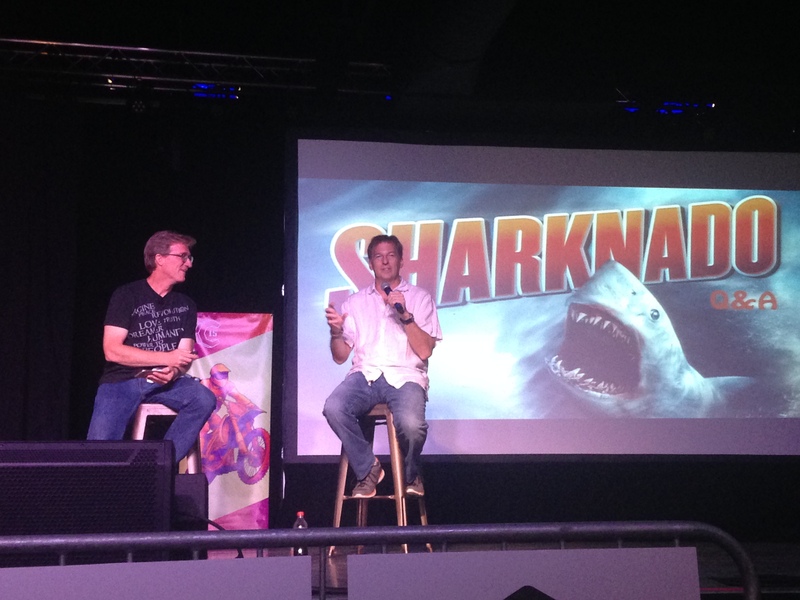 Thunder Levin, the writer, closed out Converge SE’s keynote taking all kinds of questions from the audience about his experience in the film industry and his time working on Sharknado. Although I think many people don’t take Sharknado seriously, Thunder offered some thoughtful points about the power of technology on society. Sharknado won’t win an Oscar, but it’s a shining example of how social media can influence pop culture. Want more on Converge SE? Next up, we’re talking about WDG’s very own founder, Ab, who also happened to speak at Converge SE. Stay tuned!